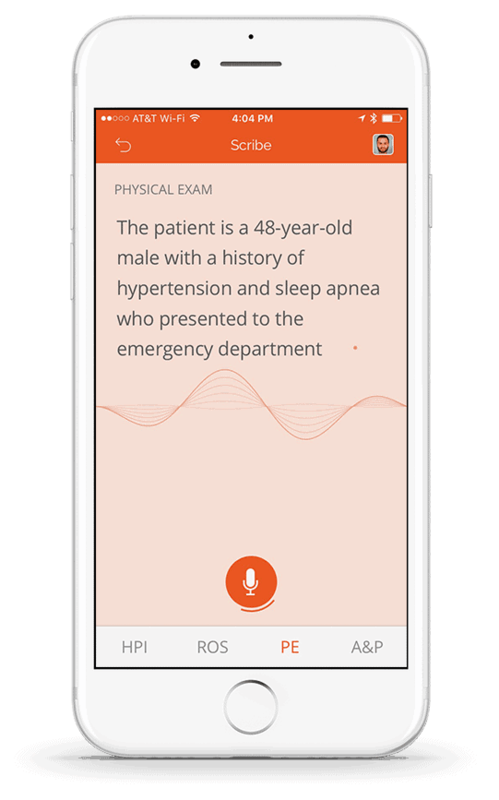 The world’s most reliable speech-to-text medical dictation -- with deep learning/neural net technology that adapts to your voice patterns -- is now instantly available on the Mobius app at half the cost of any other leading transcription service. Your words appear on the screen and the text is immediately sent to the patient’s chart. Scribe not only makes it faster to dictate, charts that took hours to transcribe and close are now done in minutes. Dictate using Mobius Scribe with unlimited usage for a flat monthly rate. Mobius Scribe can listen as fast as you can speak. Watch your words appear instantly on your screen and in your patients' charts..
"Sphenopalatine Ganglioneuralgia"?Mobius Scribe recognizes medical terminology out-of-the-box. Leverage the computer in your pocket. Mobius was designed for doctors, by doctors, to make your mobile device a clinical tool. Mobius talks to your existing EMR to get every detail properly documented. Everything is synchronized without you lifting a finger. Why should you be penalized for thorough documentation? Unlimited usage is always included, no questions asked. No delays or waiting around for your patients' charts to be completed. The words appear and are saved instantly in your EMR.